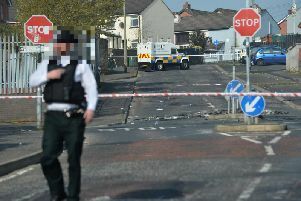 A young Protestant victim of a sectarian assault in north Belfast has been left in shock. Bailey Anderson, 13, and his 14-year-old friend were walking to a band parade in Ballysillan on Saturday around 3pm because the buses had been cancelled. He said one of two unknown males repeatedly punched him in the face after subjecting them to sectarian abuse. “I was scared and shocked that it happened,” he told the BBC. “If I do ever go up past that area again, I’ll be scared to go up past it. “It makes me feel annoyed that I can’t go somewhere without being attacked because of my religion,” he added.